Building on the successful first Call for Proposals that generated some 350 submissions from over 40 countries, the Scientific and Professional Committee of the World Design Summit 2017 has unveiled a list of 108 topics that will frame the discussions and debates at the Congress to be held from October 16 to 20, 2017 as part of the World Design Summit. The 108 topics were selected with the objective of upholding the highest criteria of quality, excellence and critical thinking, in order to build a program worthy of the Summit’s ambition: creating change through Design. Interested applicants will be able to submit their proposals on the dedicated platform at www.worlddesignsummit.com until June 4, 2017 at 5 pm EST. The applicants selected as speakers or panelists for any of the 108 topics will be invited to join a working group based on the topic under which they will have been selected, in order to feed into the discussions and stimulate the proposal of transformative solutions. The main objective is to be able to present one official recommendation per topic to the international organizations that will be participating in the World Design Summit General Assembly, to take place on October 23-25, 2017. 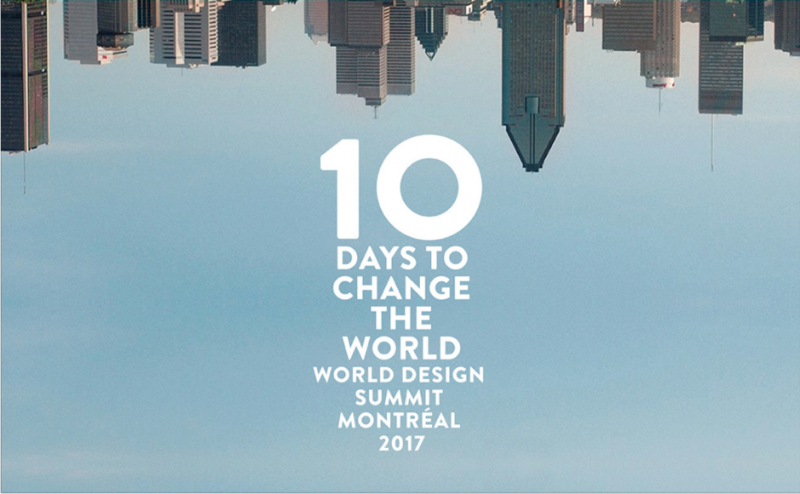 The World Design Summit – Montréal 2017 (WDSM), of which the general theme is “Changing the World through Design”, is an event that will assemble a huge number of design experts, clients, suppliers and enthusiasts from all over the world in Montréal’s Palais des congrès from October 16 to 25, 2017. Architects, designers and urban planners will collaboratively endeavour to develop innovative and practical solutions to the energy- and environment-related challenges of the 21st century, and to present them to private and public sector decision-makers and the public at large. The list of topics is available on the World Design Summit website at www.topics.worlddesignsummit.com.